TOMS has been donating footwear to those in need since 2006 and has donated over 1 million pairs of shoes. The One for One campaign has now expanded beyond footwear. 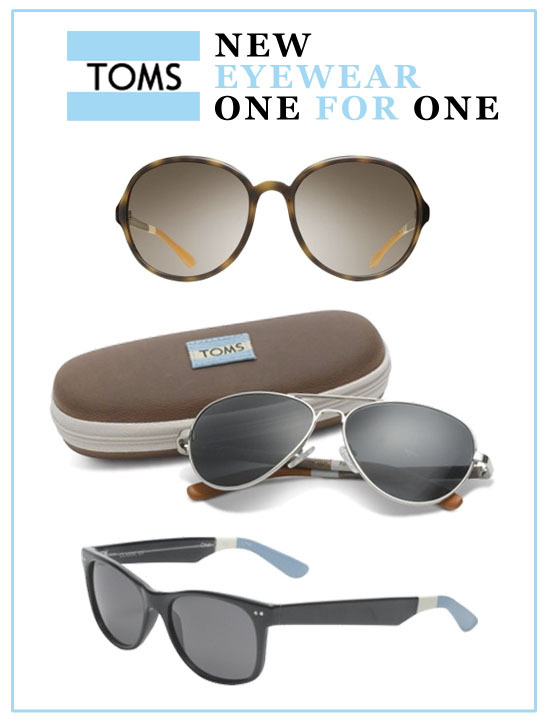 Earlier this month TOMS launched the TOMS Eyewear collection, consisting of three classic styles. Keeping in line with the One for One campaign, TOMS, in conjunction with the Seva Foundation, "will help give sight to people in need through medical treatment, prescription eyeglasses and sight-saving surgery" (TOMS). We love the passion behind TOMS' mission to help others and encourage you to visit their website to learn more about this amazing company.